The title of a recent blog post that drew over 100 comments on MuslimMatters read “Halal Mortgages: Alleged Misuse of Taqi Usmani’s Fatwa and 3 Important Questions.” What began as perhaps a sincere attempt by the author to alert readers about the abuse of a respected scholar’s fatwa and invite Islamic financial institutions to provide as he put it “a little bit of transparency”, resulted in a heated online debate that achieved very little in terms of “removing doubts” about Islamic home finance companies in the US, as originally intended. Because Guidance Financial Group and its subsidiary, Guidance Residential were mentioned in both the blog and the comments that followed, we felt that a response was appropriate to counter some of the misinformation that has been spread not only about our company, but also the chairman of our Sharia Supervisory Board and the six fatawa he and the other prominent members of our board issued specifically for our Declining Balance Co-Ownership Program. Guidance has helped thousands of Muslim-American families become homeowners through this authenticated program and since our inception in 2002, we have always believed in the value of transparency having issued a comprehensive WhitePaper that provides insight on our unique and pioneering structure. It is important to start off by clarifying one major matter that could go unnoticed by the reader. It is that the blog begins by quoting Mufti Muhammad Taqi Usmani as saying “I have never approved any ijarah contract or scheme for any financial institution in America, Australia or Canada.” We would like to emphasize that this statement is in no way, shape or form directed at Guidance or its Program. It is unfortunate that the author mistakenly refers to the ijarah model as a “co-ownership” while in reality Guidance does NOT and has never used the ijarah (lease) structure or contract. Guidance’s Program is based on a musharakah mutanaqisa (diminishing partnership) structure, which was developed with the help of and finally approved by our Sharia Supervisory Board led by none other than Mufti Taqi Usmani as its Chairman. The underlying question that needs to be asked is how can Muslims determine if a financial contract or institution is in compliance with Islamic financial transaction principles? For starters, we would need to know who are the scholars behind the product or institution. To develop our Program, we spent millions of dollars in research and development over the course of 3 years and involved 18 different law firms while working with 7 of today’s most authoritative and highly respected scholars in Islamic finance. The scholars are from 6 different nations and are trained in the different schools of thought. Throughout the development process and beyond, these ulema researched and debated all aspects of Guidance’s Program, including the life cycle of the transaction and how it would involve an actual home-buyer. Eventually, ijma (consensus) was achieved among these renowned scholars and a formal certification through the issuance of fatawa was complete. To further validate our approach and our Program, one can evaluate the scholars themselves to assure that they are qualified in matters relating to Islamic financial transaction principles. In doing so, you will find that a majority of Guidance’s Sharia board members belong to the prominent Sharia board of the Accounting and Auditing Organization for Islamic Financial Institutions (AAOIFI, pronounced “a-yo-fee”), formed in 1990 as an independent, non-profit, international standard-setting body, AAOIFI is the industry standard for Islamic finance practitioners. AAOIFI’s regularly updated texts have become the definitive reference work for those seeking a comprehensive rule book about internationally recognized standards in Islamic finance. Its 85 standards cover everything from accounting and auditing to governance and product-specific Sharia standards. The 20 international scholars who sit on AAOIFI’s Sharia board are distinguished Islamic scholars who are legally qualified to issue a fatwa and adjudicate on matters of Islamic finance. Guidance is privileged to count among the members of our Sharia board a quarter of AAOIFI’s most eminent and authoritative scholars in Islamic finance. In fact, the Chairman of AAOIFI’s Sharia board is none other than Mufti Taqi Usmani. Guidance and its distinguished Sharia board have been sought after for technical expertise in Islamic finance by international organizations in Saudi Arabia, Malaysia, Egypt and Indonesia. In 2007, Guidance helped establish what has become today’s leading home finance institution in SaudiArabia – DarAlTamleek. In 2009, Guidance was nominated by the Dubai-based international trade publication Islamic Business and Finance Magazine for the “Best Islamic Home Finance Provider” award. All these efforts did not go unnoticed by the mainstream media and in fact, major outlets like The Wall Street Journal, The New York Times, The Washington Post and even Al Jazeera to name just a few have all recognized Guidance’s pioneering endeavors. We hope that more Muslim media outlets delve in to this subject in greater detail for the benefit of our community as a whole. 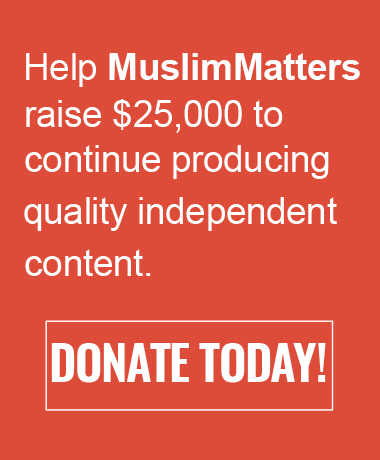 We would like to extend an open invitation to all of the Muslim Matters staff and its bloggers to talk with us directly and even visit with us at our corporate headquarters in Reston, Virginia. Furthermore, please feel free to communicate directly with me, Hussam Qutub, and ask any and all questions by emailing me at communications@guidanceresidential.com. In addition to relaying all of the above, Guidance’s intention in writing this post was also to answer the questions posed by the author of the article. To that end, we have provided our answers below. MMQ1: How often are updated contracts reviewed and approved by a Shari’ah board (“SSB”), and which scholars have signed off on the actual contract being used by an Islamic finance company? A1: Our full Sharia board has signed off on our program as you can see from the link above. Our Declining Balance Co-Ownership Program documents have not changed from the time reviewed by the scholars. Subsequent to those fatawa, in 2005 and 2006, two additional fatawa were issued to certify adjustments that needed to be made in order for us to serve Texas Muslims while adhering to their state’s unique challenges and the second to introduce adjustable programs that were in high demand at the time. While there have been lots of changes in the mortgage business since the credit crisis in terms of licensing and disclosures, these changes have not impacted our contract or the documents reviewed by our Sharia board. As an FYI, our agreement with our investor, Freddie Mac, does not involve a lending and borrowing relationship of any kind. And although they have made significant underwriting and operational changes, their documents also have not changed since we started the Program. Part of the reason our contract has stayed intact is that we have a unique and exclusive contract with Freddie Mac. No banks or financial institution can use our agreement without our permission. Additionally, banks in general cannot use our contract by law because banks cannot co-own, they can only lend. MMQ2: Are all practices done by the Islamic finance institution during the course of the contract and “declining co-ownership” Shari’ah approved? A2: Yes and we continue to be compliant in all aspects of our business and we are not aware of any aspect that is not compliant. The entire course of the contract from purchase, transfer and full ownership by client has been studied, observed and deemed compliant with Sharia principles. It is important to note that many disclosures are federally mandated requiring us to use them even though their terminology mischaracterizes the nature of our Program. For this challenge, we have a fatwa on disclosures that can also be found in the link above. Recently, to enhance our customers’ overall experience we transferred the servicing of our contracts to a new vendor, namely US Bank’s servicing division. To better understand this transfer one would need to understand “servicing” and its place in the mortgage industry. In simple terms, it means collecting and administering monthly payments, mailing monthly statements, fielding questions and handling late payments. For a company of the size of Guidance, this administrative task is usually contracted out to vendors that will then act on behalf of a home financing company and become an extension of their operation. In our situation, although the vendor handles all our correspondence with existing customers, everything is done in our company’s name and all payments made by our customers are made to Guidance. The process of transferring from one servicer to another is a complicated and often challenging administrative process. There are federally mandated letters that must be sent out to all customers by the old and new servicer on behalf of the home financing company. During our transfer period, some of this mandated correspondence was sent out on our behalf with language that did not properly characterize our Program. Unfortunately, this caused some concern among our customers and we have since worked diligently to address and clarify the situation. At the end, we admit that this could have been handled better but it must be said that this in no way changes the contract or compromises our program. If it is unclear or requires any further clarification, please contact us. MMQ3: How are inconsistencies between what Mufti Taqi Usmani advocates in his writings and the actual schemes used by these banks to be addressed? A3: First, we recommend that all Islamic financial institutions establish an independent Sharia board consisting of specialized, distinguished and credible scholars that regulate their specific products and services in the context of laws in the land they wish to operate as Guidance has done. Second, consumers need to do their due diligence in understanding not only who the scholars are but also how the program is designed to work. If one were to investigate further in Mufti Usmani’s writing and our White Paper, which was approved by our board, Guidance’s Declining Balance Co-ownership Program is designed to create a co-ownership for the purpose of providing the home-buyer with financing to acquire a home. This co-ownership is based on Shirkat ul Milk. It is not designed as a commercial partnership (Shirkat ul Aqd) for the purpose of making profit from trading in real estate. Consequently, the Program is intended for the customer to fully buy out Guidance’s share in the property over time, and not for the two co-owners to sell the property jointly and share the gains. The White Paper further stipulates that should the home buyer sell earlier than the term agreed upon, the appreciation that the property will have likely earned is theirs to keep since they did all the leg work to identify the community and property. If the property sells for a loss then the shortfall is something they must consider. However, if the property depreciated so much that the shortfall is below what is considered Guidance’s share in the property, Guidance incorporates a unique “non-recourse” clause that protects the seller in this case from owing the full amount to Guidance. We would consider the difference a loss on our books. Furthermore, if the government were to impose on the co-owners to sell the property in order to make room for a road, a park or another public project the Co-ownership Agreement specifically stipulates that the two co-owners would share the gains or losses from such a forced sale according to their ownership shares. As a result, Guidance may end up with proceeds that fall short of the amount of financing it had provided, in contrast with what would be owed under a conventional mortgage loan. The principle that the two co-owners should share in the gains and losses of their respective shares in the property applies to situations other than a sale. Consider the example of a property that suffers total destruction and cannot be repaired using available insurance proceeds. In this case again, the Co-ownership Agreement stipulates that the two co-owners would share the insurance proceeds according to their ownership shares, resulting in an outcome quite different from that of a loan. All of the above items and questions were addressed and documented in the fatawa and white papers that were certified and amended by our board in 2002, 2005 and 2006. We can always try to facilitate a direct discussion for an extensive and more thorough analysis between your staff and our Sharia board. Our only request is for due diligence and open communication. 1: Why is your “interest” rates higher than conventional banks? And why do you use the word “interest” in your contracts. no where in the contracts does it state that it is a “co ownership” program. You might have a few at they booths at conventions [which i personally never looked at] but the one signed during closing only states “interest” and no mention of “co ownership”. Unfortunately found this out during closing and our Realtor said why we went with you since the contract look similar to conventional banks except for the fact we paid a higher interest rate than what JP Morgan Chase was offering. Only excuse we could come up with was its supposed to be Sharia compliant but neither one of us knew what that actually meant from the contracts signed. 2: When you say “independent” sharia board, are they paid salaries by Guidance or its partners or from a completely 3rd party. If they are paid by Guidance, then they are employees of Guidance, not “independent”. Hopefully it doesn’t effect their “fatwa” but I have been around long enough to know that you pay to play (seen ALOT in the “halal” food industry). If you pay your scholars good enough, they will change their ruling in your favor by pulling out some small incident or some of their own “logic”. Also, my impression was that the word “independent” implied that the scholars were NOT paid by Guidance. Perhaps Guidance can comment if it is otherwise, but if you look at the list of organizations that Scholars like Sh Taqi are a part of it is clear that his grounding is this particular field is not beholden to his position as a Board-member for Guidance. I also totally agree with the comment below that Sh Taha’s post is crucial to our understanding of fiqh in modern (and pre-modern) times. Salaam. Not over generalizing at all…dont know when you purchased from Guidance but we went with them in 2010. And 3 banks (BOA, JPM Chase, BMO Harris) all gave us 1% lower rates than Guidance. So that is where my question stemmed from. And recently, a relative dropped out from buying a house all together bc rates with Guidance were much higher for him than a few conventional banks (which he wanted to go with but his wife refused so they just dropped the ball on buying all together). We appreciate the questions. The first question actually contains two questions so we’ll start by addressing the assumption that we are more costly? This is a common misperception but the truth is that in the last few years our profit payment (not “interest”) has not only been competitive but in several markets it has actually been lower than conventional finance. This comparison even takes in to consideration our monthly $18.75 LLC fee which is the result of our unique co-ownership structure. 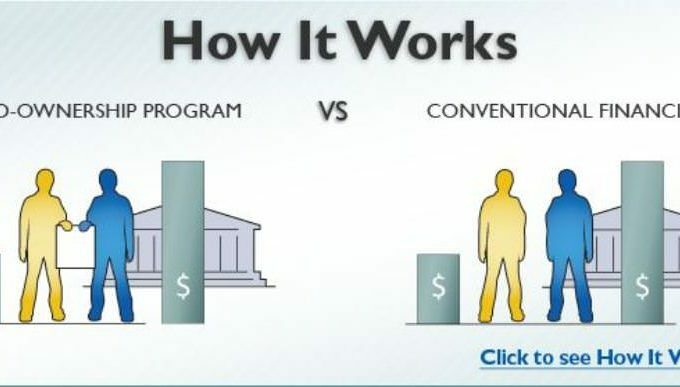 We do agree that in our early stages we were more expensive than conventional mortgage providers and the reason for this was that in order to develop and launch Guidance’s unique program, we had to incur a substantial amount of cost that would not normally apply if you were launching a conventional mortgage company. The barrier to entry for us was very expensive seeing that we were venturing into uncharted waters but Alhamdulillah we have overcome this barrier. With regard to the actual agreement, since inception all of our customers have received and have signed a “Co-ownership Agreement” which represents the core contract between the two parties. Every customer has a copy of this agreement in the closing package received at settlement. If you need help locating a copy of your Co-ownership Agreement we recommend you reach out to us directly and we can help you find it. With regard to the second question, our independent Sharia supervisory board acts similar to that of an outside advisor. Their contribution in the areas of product development and oversight is naturally remunerated on the basis of fees tied to their engagement and generally speaking it is very common for Islamic finance institutions to provide a just recompense for the time and effort these scholars put in. It is unfortunate that this portion of your comment seems to carry a veiled accusation meant to question the character of these highly respected and notable scholars. Nonetheless, you should know that these esteemed scholars are not employees of Guidance and have no financial stake in the success or failure of any Islamic finance institution with which they serve in a supervisory capacity. We bought our house in 2010 and had gotten pre-approvals from a few different banks (BOA, JPM Chase, BMO Harris). They all gave us the “rate” which was atleast 1% lower than what Guidance even started us out with. And during contract, we DID receive all the copies of everything that was signed and almost all of them had Interest written on them unfortunately. It was just understood by us that Its a “co-ownership agreement” but nothing that was handed to us at time of closing. But in terms of getting all the documents, regular banks also give you a copy of all the documents during closing (speaking from experience). As for the part about the Shuyuk, thanks for clearing it up. I am not in any way doubting their rulings in this matter but I have seen waay too many Shuyuk who are only money hungry. Unfortunately, the internet has many pitfalls, including self-commentaries that cast doubt into the hearts of people regarding organizations and scholars. Sincere questioning is fine, but these issues should be left to experts to discuss in a scholarly way, otherwise it is speaking without knowledge, which is dangerous and sinful. I hope everyone reads Shaykh Taha Abdul-Baseer’s comment on the original article to note the difference between hiyal (legal loopholes) and makharij (permissible ways out), as well as the role of the scholars when it comes to the two. The scholars of the past clearly mentioned legal ways out of specific rulings in their texts and even dedicated works to the subject. It is nothing knew and is sometimes needed in cases of necessity and need. This would only be appreciated and understood by someone grounded in fiqh. As such, the criticism that mortgage schemes in Islamic Finance closely resemble conventional mortgages and the like is perhaps one of the weakest legal criticisms one can forward, especially in the times we live in. Jzk for providing us your response and taking the time to answer our questions. I read your response, and a great deal of it relies on arguing by the authority of scholars who have approved of the contract. In fact, your response goes so far as to say “ijma (consensus) was achieved among these renowned scholars” which is both accurate and strange to say – no one uses the term ijma to describe a thing in which there is disagreement about generally, and a specific group agrees on. As someone who rents, I find it strange that as a landlord, you don’t take care of home maintenance, taxes, and other assorted costs landlords normally handle. If it’s because you consider your share a debt paid back to the buyer, then I don’t understand how it is you can rent what they own to them. Did Guidance reply to that letter from AMJA? Also, are there scholars in AMJA who have the same depth of knowledge when it comes to finance as Mufti Taqi Usmani? I appreciate your love of Mufti Taqi, and the trust you have in him. However, you should also consider that since the inception of Islam, scholars have differed on issues, irrespective of the caliber of their scholarship. While people like you and I are likely not qualified to extract rulings, we do have to choose how we decide to live our lives. You have chosen to have follow Mufti Taqi because you trust him, and that is a valid course of action. I believe in the “trust but verify” approach, meaning, even scholars of good repute that I generally trust, I still make the effort to verify what I’m told in issues that I deal with daily or in issues that can have grave consequences related to my akhira. I read dissenting opinions, and I try to develop some level of competence so I can make better educated decisions on who or what to follow. Mufti Taqi and the scholars who have agreed to this plan / scheme are not the only scholars who are experts in finance, and they have ruled against this setup because there are problems within the contract. I would also point out that in the white paper provided by Guidance Financial, the fatwa states at the end, “…given the circumstances in the United States…” meaning there are factors outside the basic setup of the contract affecting the decision making – perhaps they think this is some sort of daroorah, or they think it’s a bad contract that removes interest, or some other notion, but perhaps with those circumstances in the US removed (whatever those are), this would not be valid. And perhaps others don’t agree those circumstances are as major as is often exaggerated when put in front of scholars. AMAZING! I just love your approach. I wish we had decided on this approach and continued to rent rather than jump on the bandwagon with others…May Allah Bless You and Your Family and continue to make more men like you, who verify and not just follow. Ameen. Thanks for posting the AMJA fatwa. It was a very measured response and was very sincere. I would have loved to see Guidance’s response to it. And the brother who wrote the original article stated that he clearly saw in his documents that the debt was sold off to a conventional bank. And if Freddie Mac is providing the liquidity then I don’t see why there is a controversy. Mortgages are bundled and sold off in the market as securities. I would love to have Guidance tell me that the money that the Muslim home owner is writing to Guidance isn’t (once you follow the money trail) becoming mortgage backed securities. The only reason there is a fierce debate about this issue is the Muslims covet the life of this world today just as much as any other just as our Rasool predicted that wealth would be our ummah’s test. And it’s not like we’re picking a choice between living in a cardboard box under a bridge and a house. Heck, you get to live in a house or residence regardless of whether you are renting it or going the riba method. They refuse to rent a home and instead want to own it knowing full well that their long term home is the grave. It’s a pity. Again, I would love to see what Guidance’s scholars had to say about AMJA’s response which raised several easily understandable and valid objections. This is being extremely judgmental. There are many sincere muslims out there who wouldn’t touch riba with a pole, and spent their whole lives renting until Guidance came along. Someone who really covets the life of this world would not have waited, but gone with a conventional mortgage. Many posts on this thread are making assumptions… assumptions about scholars, assumptions about the intentions of the companies involved, assumptions about the muslims who are using the services from these companies… Islam is not pick and choose. You can’t say “I will stay away from riba, but I will ignore the commands in Surah Al Hujurat to stay away from assumption and suspicion”. Especially the posts which imply one way or another the lack of integrity of the scholars involved, that’s almost slander. Yes riba is a huge haram, but so are many other things. Which scholar that is well versed in Islamic Finance disagrees? To my understanding AMJA does not have a scholar that is a scholar of islamic financial transactions. We know there are some respected members of AMJA that have expressed such an opinion. We also know that there are some respected members of AMJA that have disagreed with this opinion and have financed their homes with Guidance. Nonetheless, we recently reached out to the Chairman of AMJA, the highly respected Shaykh Dr. Hussein Hamid Hassan for his thoughts. Sh. Hassan knows the members of our Sharia board very well and was not part of the opinion issued by some at AMJA. It should be mentioned that Sh. Hassan sits alongside 5 of our Sharia board members on AAOIFI’s Sharia board and is very knowledgeable in Islamic financial transaction principles. Our purpose for reaching out is to clarify what we feel are some misperceptions about our program and so during this process and out of respect for the Shuyukh involved we will refrain from further comment on this specific topic. We hope this matter will be resolved soon insha’Allah. Look forward to hearing the resolution on this. I’m glad to hear you’ve reached out to the Chairman. The fatwa I’ve provided is signed as the AMJA Permanent Fatwa Committee, and it is not simply the opinion of an individual, but representative of the body as a whole, a body which may differ within itself yet may reach a conclusion representative of the body’s stance. This is true of any organization, board, etc. I would be more interested, rather than reaching out to individuals who have favored your position, in an honest discussion of why the body with its public stance, has rejected your contract rather than picking off a few here and there that agree with it and why, in the opinion of those who favor your position, they are mistaken in their ruling. Thanks again for your response, and looking forward to further discussion. The whole issue is ridiculously confusing; what are some means of just beginning to attain literacy on an Islamic perspective for modern day finance? An introductory course on Islamic financing and contracts is a start :) Check out jamaalzarabozo.com, arees.org, or almaghrib’s Pure Paisa if it comes to your locale. There is no way that a lay person is ever going to get to the level of someone like Mufti Taqi Usmani in this matter. Surely this is why we have scholars who spend their entire lives looking at these things? Does not make Mufti Taqi infallible, there are other scholars who as well spent lives in the field and disagree. It’s not a question of infallibility, it’s a question of WHO the best scholars are to address this issue. At the time I purchased my house with Guidance, I talked to a imam who I trusted about this. He personally knew Mufti Taqi and had worked with him many years previously in the International Islamic University in Islamabad. He said that Mufti Taqi had been trying, for many years, to actually try and make concrete changes to economic systems to get them away from riba. Not just in theory, but in practice. What this told me is that Mufti Taqi is NOT the kind of scholar whose opinion can be influenced. In addition, my imam told me that Mufti Taqi is one of the few (maybe the only) people who understand both Islamic fiqh and economics to be able to give valid fatwas on such matters. We also know that Mufti Taqi was one of the members of the Supreme Court in Pakistan who made the historic ruling that equated interest in the modern banking system with riba – again, proof for his sincerity and impartiality. And also, last year MM themselves published an article in which Mufti Taqi had spoken out against so called Islamic bonds – proof that he doesn’t just give halal fatwas to everything. So now Mufti Taqi has given fatwas regarding the permissibility of the Guidance home purchase model, and he sits on their scholars’ board. So given what I have said above, am I supposed to just dump him and follow some other scholars who may or may not have the same background as he has, as described above? Which scholar that is well versed in Islamic Finance disagrees? To my understanding AMJA does not have a scholar that is a scholar of islamic financial transactions. Please clarify. We advise those seeking more information about Islamic finance in general to read Sh. Taqi Usmani’s book “An Introduction to Islamic Finance”. Also, we praise the work of the Ethica Institute of Islamic Finance (www.ethicainstitute.com) for having some of the best online educational tools available. Calling it fraud is also calling a bunch of very qualified scholars frauds. You can disagree with their methodology, you can argue with their basis, but to simply attack without basis won’t help you and it won’t help anyone else. Maybe the word fraud is too strong. Qualified they may be, impartial they are not. They are making money off of their own fatawas. The problem is no one actually reads the fatwa. If you read the fatwa written by Mufti Usmani it is nothing more than pure semantics. He acknowledges that combining transaction is equivalent to Riba (which is what Guidance does). However, he says we wont call them transactions we will just call them a transaction and a promise by which somehow the Haram will become Halal. You dont need a PHD in Islamic Finance to realize that something is not right. Maybe the intention is good but the logic is flawed & dangerous. Please see what I wrote above regarding Mufti Usmani’s integrity. You are giving the impression that he is just a ‘yes man’, while his actions indicate otherwise. Unfortunately these discussions end up with the integrity question. Lets analyze the fatwa and forget who wrote it. Islam & the Quran more specifically forbid us from blindly following Ulama. This in the words of the Prophet saw is equivalent to worshiping the scholars. Do you understand the fatwa? Do you understand the issue of 2 transactions in 1? Unfortunately, the fatwa is never discussed. We need to take a little responsibility and stop the blind following of scholars. Did you actually read what I wrote? It’s not blind following, it’s judging a scholar by his previous actions in the same field. If Mutfi Taqi has a track record of distinguishing between halal and haram without being unduly influenced, I don’t think you can just dismiss him as you seem to be doing. I would also like to know what your credentials are if you feel that you can speak about fatwas given by Taqi Usmani. I did read what you wrote. It has no substance. Your point is he is a good guy and therefore we should trust him. My point is you should read the actual fatwa and decide for yourself. Show some courage and get beyond the possibility that someone you respect could possibly be wrong. Read the fatwa and try to understand it, explain it, and defend it if you feel it should be defended. Please Read the Fatwa instead of debating personalities. Discuss the substance. I think we’ll have to agree to disagree on this one, it seems my point about integrity based on actions is lost on you. To put this in context, I have always found Shiekh Qaradawi’s fatwas to be on the liberal side (and I don’t mean disrespectfully, I have huge respect fro him). So when he have his fatwa about being able to buy houses on riba, I did not feel happy following it, based on his past actions. Mutfi Taqi by contrast is much more conservative, and has a track record, as I keep saying, of opposing riba when he sees it as such. “Greatest Frauds in Islamic History” – really? Whats the benefit in this type of language? It is impossible for the Law of the Wisest of the wise [God] to forbid a harmful dealing, curse its [riba, or usury] perpetrators and warn themof a war from God and his Messenger, and then to allow a ruse(trick) to result in the same effect with the same harm and added transaction costs in constructing the ruse to deceive God and his Messenger. I wonder, which of the harmful effects of riba was removed by this deception and lies? The approach that we have found the leading fuqaha’-specialists in this area consistently applying themselves and encouraging others to adopt is one that is quite balanced: namely that we distinguish between the blameworthy ‘tricks’ (hiyal, sing. hilah) that you astutely mentioned, on the one hand, and permissible ‘outs’ (makharij, sing. makhraj), on the other. As you can appreciate, telling the difference between the two is crucially important, because permissible solutions are…well..permissible, even if they resemble impermissible transactions in many ways, making it difficult for non-specialists to distinguish. shepherd who pastures around a sanctuary, all but grazing therein. [Related by al-Bukhaari and Muslim. @Guidance. This article is written by a Guidance Rep so we must keep in mind that the position that will be taken will be a position on not losing potential customers. Therefore we should look at the issue through trained scholars in the field of Islamic Finance. Guidance endorsement for it’s own product should not be accepted. Rather a look at what the ulama say is the safest and best course of action. @regular baba. We cannot say that Mufti Usmani is the only one qualified to talk about this issue. AMJA has highly trained scholars known for their adherence to the Quran and Sunnah. 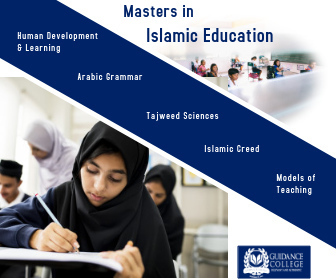 They have studied and many have higher degrees in various fields of islamic sciences. So what they say cannot be merely dismissed. Please see my post above about Mufti Taqi. In the same context, what he says cannot be merely dismissed. Ok, again MM had an article about this a while back, in which it said that one of the scholars who was opposing sukuk was none other than… Mufti Taqi Usmani! So if Mufti Taqi is known to oppose some Islamic financial models but allow others, surely that does NOT mean that you can put all Islamic financial models in the same ‘deceitful’ category? Sure there’s an opportunity for deceit no doubt, but isn’t that why have scholars, to try and guide us as to what Islamic financial models are truly halal? Why are you so intent in pushing Taqi Usmaani down our throats? If you trust his opinion, then go with him. Some of us don’t and may want to see what the scholars WE trust have to say on the issue. One big question I have for the ‘nay sayers’… please come up with a halal alternative to house purchasing for muslims if you think the existing ones are not correct. And I don’t mean renting. There are Halal alternatives but the problem is they require the “lender” to take substantial risk. With the money coming from Freddi Mac & being financed by interest bearing bonds you will never see any cash flowing into these other models unless practicing muslims were to invest in these models on a large scale, making them feasible and practical. In the mean while renting, borrowing from family, or pooling resources are the only remaining options. How is it halal when risk is involved? What are these alternatives? Who said it’s halal to take risks? 1. Live a frugal lifestyle and cut costs as much as possible. 2. Save as much money as you can. 3. Buy a reasonably priced home on straight cash. Here in America, there are non-Muslims as well as Muslims doing it. It’s not impossible, it just takes discipline and planning. If you don’t like that, re-read the fatwa I posted from AMJA – they tell Guidance Financial exactly what needs to be done to correct their contract so that it is correct. They provide two alternatives. AMJA scholars say that some changes are necessary, other scholars say that the transaction is halal as is. If there is ikhtilaf on the issue, we can’t say that everyone needs to follow one opinion vs the other. It is up to individuals to look into the issue and then follow the opinion of the scholars that they trust. Absolutely correct Abdullah, but just as GF has been given the platform to reply and justify themselves, those opposing their make up, what they stand for, what they do, and why they disagree should be allowed to give voice to their concerns and be heard and responded to. The end of that sentence needs very much to say “BY SOME SCHOLARS, HOWEVER, OTHER QUALIFIED SCHOLARS DISAGREE AND DON’T BELIEVE IT TO BE SO. That is intellectual fairness. They claim they are unaware of any aspect of their business that is not shari’ah compliant, but they neglect to mention that there are scholars who disagree and have specified the elements that are shari’ah non-compliant, in their opinion. If all you do is fish for scholars who will approve your contract, then you will have an “ijma'” as the term was so loosely used above, and you will never be shari’ah non-compliant. It doesn’t take much to make something halaal these days. Just combine the concessions and strange opinions in Islamic law with a misrepresentation of the situation in the West to scholars who don’t live here, and you’ll have your fatwa signed, sealed, and delivered. I still wonder what was meant at the end of the fatwa on GF’s white paper “Given the situation in the US…” that they authorized this set up. What if the situation was different, would this contract still be legitimate in “normal” circumstances? Having what you call “my own home” is an essential part of human psychology and we need to focus on that, instead of what would be pipe-dreams for most (exceptions exist, yes). you present an alternative that is easier than renting or buying on cash? is haram itself as long as you can label it as Islamic. ourselves which group we would like to be with. why take a tax break? question is, whom are we cheating? its called BC and here is how it works. You get a group of people (say 10 as an example). So with 10 people, there will be 10 rounds (if there are 5, there will be 5 rounds, if there are 15, then 15 rounds and so fourth). You can use the money or just save it up its up to you. But you can get a descent house for $250K in many places. So basically, each person pitches in the amount they decided on each month and it goes to each person until its over. They can chose to continue or not after EVERYONE had their turn to receive the money. NOTE: Even if you trust someone, make sure you write some sort of agreement and make some sort of contract or something in writing with everyone’s information (DOB, License#, SS#, etc). You can’t trust people these days unfortunately. Just buy foreclosed homes cash or rent…those are the real halal options…not convoluted schemes that resemble the systems of the kuffar in everything except language. Subhanallah, the lack of adab on that post is worse that the “systems of the kuffar”! Ironically, Mufti Taqi Usmani, who you are implicitly degrading by your statement, is one of the leading scholars who follow the way of Abu Hanifah, which happens to be the label you are calling yourself. Brother,be reasonable and stop with the exaggerations. If it is not Islamic, it is from disbelievers(kuffar). I don’t understand when we reached the point where telling the truth is a lack of adab. And please stop with the borderline personality worship of Mufti Taqi Usmani and reading things that are not there(“implicitly degrading by your statement”). Being a respected ‘alim does not exempt a human being from being wrong. The scholar is wrong on the issue, in my opinion, and no amount of convoluted language can make the haraam into the halal. The safest bet for the Muslim in this day and age is to rent or buy a home with cash. I was merely presenting the cheapest option nowadays for buying a home, which is purchasing foreclosed homes. to come up with new ideas, yes INNOVATIONS to make Islamic Finance vibrant. will bring in haram through the back door. through the front entrance, why should we worry about the back. From my last discussion with Guidance financial, here is how I understood the loan process to work, If there is a representative from guidance on this forum, please help clarify anything that I may have misunderstood. Assume you are planning to purchase 500K, Guidance will agree to purchase the house on your behalf with a promise to buy it back from them with a say 5% profit margin. Since Guidance is a regulated by OIC as a financial institute, it cannot own property, therefore the contract will be between you the buyer and the seller where essentially Guidance is only fronting you the money. 2. The promise to pay Guidance 5% is a legally binding promise and therefore not a promise according to the definition of the sharia, this would make this transaction a double contract. 3. Guidance will not be owning any portion of the sale at any point according to US regulations. 2. Guidance has sold a contract for a contract which is essentially Riba and is not permissible. 3. The buyer went into this arrangement knowing about this entire process so is equally guilty. I believe What you are describing is Murabaha. Guidance’s contract uses Diminishing Musharaka . Guidance is a co-owner of the property from day one. Does that mean they will also be on the Title, from what I understand, they do not hold title, nor are they mentioned in the loan contract, so how are they a co-owner? Are there multiple contracts during the home purchase process? Can someone in this forum explain the exact process that Guidance follows from start to finish? this will help with the confusion. 2004-xxxxxxx LLC is the LLC which Guidance creates to enable the co-ownership. This is also the name my tax bill is attached to. muslim the feeling that they have avoided Riba (intentional or not). Guidance is not a co-owner in any way. They take no real responsibility for the house. You are stuck with it as the “borrower”. Ask the hundreds of muslims who are trying to get out but cant since they are required to take 100% of the loss as the market has crashed. Guidance is simply giving you a loan at a fixed rate of interest (the money from Freddi Mac). Most muslims dont know this but the combination of transactions creates Riba (artificially). If you were to give me a loan of $10 with the promise that I must pay it back with an additional Gift of $1 that would be Riba without calling it Riba. That is basically what Guidance does except for far more convoluted than that. I have a house that I want to sell. This is not a charitable sale. I can either sell it at the current market rate or I can sell it at terms where I can get a return that is suitable for the assumed risk. The bottomline in any financial deal is the link between risk and return. The more the risk, the more your expected return. That is why bank deposits earn so little and a risky enterprise will earn so much. Assume that for the housing market, the average expected return is 5% (and that is actually what you will find in most stable market across the world). Relatively safe investment, so relatively low return. I have two options then: I can either do a rent to own agreement, sort of an ijara with the buyer or I can increase the price to earn the return I am seeking over x years. If the buyer wants to buy it in 10 years, I will actually use a typical mortgage calculation, put in my return of 5%, and get the total price that will be divided over 120 monthly payments. Just because you use the calculation, just because the math works out in a “mathematical” way, does not mean that this becomes haram. For a 100,000 home over 120 payments with a 5% return, I would sell you the house for $127,000 or $1060/month. Taxes/insurance/etc are your hassle because it’s your house. Alternatively, I could do a rent to own agreement, more typical of ijara. But even in this, I would seek 5% above and beyond any taxes and insurance, so if you want me to share in that, then I would just make that part of the costs for me and you would basically pay more monthly payment to me in order for me to help in other taxes, etc. Also, the “rent” does not have to be a market rent, because for both buyer/seller, the rate of return for the risk has to be similar to market. So, if the market rent is 10%, and I try to extract that, then the buyer would cry foul. So, “rent” becomes an economic rent, not the “rent” in the typical terminology. Also, there are tax breaks for “interest payments”, which can be very significant. If you don’t call it interest on paper, then you lose that break. Unless you are interested in supporting Uncle Sam, terminology should not be a breaking point for a deal. People tend to think in silos of their own situation, and the complainers are usually buyers. Remember there are two parties to a non-charitable house-purchase transation. For me to invest in this business, I absolutely have to get the return that the market will generally give for this risk. And if you want me to take more risk, like property depreciation risk, then I will be seeking an even higher return. Are buyers willing to give more? Are buyers interested in giving up a stake in their property appreciation? Lots of questions here. But the problem is even clearer in your own post Amad – it’s not just the rate of return that is mimicked, but the complete set up of who pays for what. I agree with you that GF will want a rate competitive with the market rate, but if it claims to want to provide a shari’ah alternative, then it also needs to take on not only the profit side of that equation, but the loss side as well. For example, taxes. Your post above writes off taxes as, “It’s your house, you pay for it,” but the reality is that it’s overwhelmingly their house. GF’s whitepaper attempts to brush this off by stating, “You live there, you benefit from where the money goes (schools, public roads, etc)”, but the reality is that if I’m living in California and I buy a house in chicago, I still pay those taxes even if I never partake of those services, one has absolutely nothing to do with the other, and besides, public properties and services from tax dollars aren’t purchased commodities with fully entitled ownership of some sort. An old man living in the area with no kids will never benefit personally from his taxes funding teacher salaries in the local school district. To further add to this, maintenance costs are typically handled by a landlord (and often they are legally obliged). Does GF ever get involved, or does the minor shareholder again hold the responsibility? Yes, they can include a flat cost for rent, but whatever occurs that is expected of a landlord should be handled by them, or at least paid for percentage wise by them in some manner, but again, I believe the reality is they have no stake in this. Will costs go up as a result if we shifted the costs where they truly belong? Absolutely, but then that’s the point – if the contract is truly performed in the spirit of a declining ownership, it’s not as neat and tidy as proposed. What both buyer and seller want of cost and profit is irrelevant – the question remains on the “shari’ah compliance” of this contract? It should be competitive with the market, but not at the cost of shari’ah compliance. Finally, if buyers are not paying interest, they shouldn’t game the US government for their own financial gain. They can’t have it both ways – they can’t say, “I’m not paying interest, I have a shari’ah compliant mortgage with declining ownership, we’re partners, and I’m paying rent and buying back shares,” while simultaneously telling the US government, “This is a loan, I’m paying principal plus interest, give me some money back, thanks!” Either they are or they aren’t paying interest. If they are paying interest, then it’s time to come to terms with it and understand this contract for what it truly is, and if they’re not paying interest, then they shouldn’t stick their hands out claiming they are, it’s both fraudulent and unethical. It’s appalling to me that GF thinks it’s ok to advise and support this for tax reasons as well as in some states not put their names on the title to lower taxes for their “shareholder / homeowner”. The issue is that you have picked examples that define minorities, not majorities. Most people will take advantage of the school systems, that’s what the taxes are for, for example. As for maintenance, that is something the landlord can specify in the contract for the lessee to do. For example, in Qatar, there are many rentals which are hands-off from the landlord, basically, “your house, your problem” (yes, even for rentals). There is nothing in Islam that prevents you from making a contract to allow that. As for insurance, this is a bigger and wider subject. And if you want the investor to “self-insure” and take the risk of having a buyer destroy the house, then that will further increase the return you seek. The issue is that none of the things that you point out are in themselves or in-sum things that will make the overall sale intrinsically haram because of the wide latitude that buyers and sellers have in creating conditions in a contract that both agree to. There’s no way around that unless you’re not a landlord – are you telling me GF is handling this since they’re “renting” out property? Remember, we practice the shari’ah AND the law of the land provided one doesn’t contradict the other, and in the case the latter contradicts the former, then we abide by it with the minimum required to be within the letter of the law (eg taking liability on car insurance). Were these purely contractual defects to be rectified to move them out of baatil status, that would be one thing, but taken collectively, they’re attempting to mimick not only the competitive force of riba mortgages, but the costs, risks, relationships, and even legal benefits and using the appropriate riba-enshrined terminology to pull it off with the IRS. If the profits were mimicked and the contract was different, I’d have nothing to say, but it goes far beyond that. Siraaj, in a traditional rental contract, the landlord is the sole owner of the house, and the tenant is only paying to live in the house. In the case of the Guidance contract, you have co owners, so the same situation does not apply. As long as both parties agree to the terms, then there is no reason to say that the transaction is haram based on who is paying the taxes or who is in charge of maintanence. And as long as the law of the land does not place specific demands on the parties involved in the actual contract, then it doesn’t matter who is paying taxes or in charge of maintenance. The shariah does not demand that both parties share in these expenses as long as they both agree to the terms from the start. I can understand the confusion on this contract – very simply, even though the buyer owns part of the house (say 10%), he’s not paying rent on that 10% – he’s paying rent on the 90% he doesn’t own. Therefore, he’s not a co-owner of the rented portion. And I would also encourage you to read what I posted above – the “law of the land” does demand the landlord pay for maintenance costs. I believe they consider them the latter, which is why “homeowners / shareholders” have the ability to collect tax deductions on interest. Sorry, but a Salafi-user inclined website like MM is probably the last place anyone will find any substantial inputs based on real legal considerations. Emotions and loud cries, yes. Pretending to know what one is talking about even though their only exposure to the Islamic sciences are a few weekend courses, yes. But a rigorous, nuanced, legal understanding of the issues. Not a chance. Not to be “sectarian”, but the overly simplistic, dumbified approach is all too clear in the comments. In the time of `Umar (Allah be well pleased with him), most of the individuals making comments would probably be lashed for exceeding the bounds and talking ignorance without any right or qualification, I guess we only appeal to the salaf when it suits our agenda. for the purpose of making profit from trading in real estate. I have some follow on questions, if you may..
Is the above paragraph implying that a shirkat ul milk contract does not obligate the co-owners to benefit from and/or suffer in the loss of the property proportionately to their investment? In the Fatwa by AJMA that brother Siraaj posted, it is clear that this is not the sharee understanding of shirkat ul milk. Selling the contract to Freddie Mac; whereby you are selling debt which is not permissible. Brother Hussam or any other Guidance representative, please address these points above. Br Abu Yusuf, you will not find this information readily available but the detailed fatwa is online. When you read it you will lose faith in these Shariah boards. Read Mufti Taqi Usmani’s Introduction to Islamic Finance, the section on Diminishing Musharaka for Home Finance(page 59). In it he clearly states that combining transactions is Haram, because it creates Riba artificially. The simple example is suppose I give you a loan of $10.00 but ask you to promise to return the money along with a gift. The secondary promise or transaction make the whole thing Riba. Now Mufti Usmani makes the argument that even though this would normally be considered Haram we will use the terminology of one transaction & one promise instead of calling them 2 transactions. Then he goes on to argue that a promise can be legally enforceable like a transaction. IMHO it is the most convoluted semantical argument that one could make. Since no one reads this stuff and they only look for the fatwa stamp it goes unnoticed. One may raise an objection that if the promise of resale has been taken before entering into an actual sale, it practically amounts to putting a condition on the sale itself, because the promise is understood to have been entered into between the parties at the time of sale, and therefore, even if the sale is without an express condition, it should be taken as conditional because a promise in an express term has preceded it. This objection can be answered by saying that there is a big difference between putting a condition in the sale and making a separate promise without making it a condition. If the condition is expressly mentioned at the time of sale, it means that the sale will be valid only if the condition is fulfilled, meaning thereby that if the condition is not fulfilled in future, the present sale will become void. This makes the transaction of sale contingent on a future event which may or may not occur. It leads to uncertainty (Gharar) in the transaction which is totally prohibited in Shari‘ah. I dont think he really explained it, he simply said a group of hanafi jurosts allowed this position and therefore its a go. Its not apparent how it is that the financier can even extract and hold someone accountable for a property they sont yet own (at the time the promise is made). With all due respect, the effect is essentially the same. He continues to outline that if the promise is broken, then the person putting down 20% is liable for breaking their promise. “I will buy this house for you if you promise to buy it back from me” is really not very different from, “ill buy this house for you on the condition you buy it from me,” if a promise is something that can always be legally enforced. The difference is that although the promise is legally enforceable, it does not affect the validity of the original transaction. Therefore they are independent. Even if the end result is the same, it doesn’t mean that both transactions have the same ruling. For example, let’s say I sell you my phone and promise to buy it back in a month. Then one month later I don’t have the money and can’t buy it back. This would mean that you could take legal action due to the promise that I had made, but the original sale would still be valid and the phone would still be yours. On the other hand, let’s say I sell you my phone on the condition that I buy it back after a month. This would not be allowed because then the validity of the transaction would depend on a future event. If that event does not occur, then the original sale would be invalidated. So in this case the two transactions are actually combined and dependent on each other, and this is what Mufti Taqi Uthmani explained is not permitted. My point in giving the example above was to show that there is a difference between the two transactions. In the first example, even if the promise was broken the original sale is still valid, but in the second example the original sale would not be valid and would basically be cancelled because a condition was not met. One more example that might be easier to relate to. Lets say I but a wireless router that comes with a $30 rebate. This could be seen as combining two transactions in one, but they are actually two independent transactions. If I don’t receive the $30 rebate 3 months later, the original purchase is not cancelled, but I do have the legal right to pursue that $30, because it was basically a promise that could be enforced. Is Guidance the only organization that responded? So far Guidance is the only one that has responded. Interesting post – it would be good to get Guidance’s feedback on this fatwa as well. Clearly, this is FAR from “ijma” as they are relating. Is this the Abu Yusuf “of old”? If you are, I am waiting to hear from you on my email. If not, then just ignore. As for what you brought up in your comments, I cannot respond to exaggerated analogies and hyperbole. Different issues require different solutions. If the messenger of Allah (saw) can compare and correlate zina to riba, declaring the latter 36 times worse than the former, then how is the brother’s analogy ‘exaggerated’?? We sincerely appreciate the fact that many of you have shared concerns, questions, comments and links to resources for the benefit of everyone seeking more knowledge and facts on this matter. We have always believed that the biggest challenge facing Islamic finance is education. In that spirit, a little over a year ago Guidance launched The American Islamic Finance Project as a collaborative effort with other Muslim organizations to focus on raising the level of knowledge and understanding of Islamic financial transaction principles. The belief was and continues to be that our financial markets can benefit significantly from the ethical and moral guidelines that Islam’s financial concepts provide. The Project held its first event in May of last year and involved 100 imams from around the country for a three-day basic training in Islamic financial transaction law. Alhamdulillah, we worked hard to make this training possible and free of charge for all participating imams. In fact, Guidance covered all the imam’s expenses including food, travel and accommodations over the three day course (http://www.youtube.com/watch?v=Itu7J_mxyvc&feature=plcp & http://www.huffingtonpost.com/2011/07/22/imams-learning-islamic-fi_n_906299.html) . We are proud of our efforts and hope that insha’Allah we will be able to do more in the future. CDs of his lecture titled “Let’s Buy a House Islamically” can also be found here, http://www.ilmquest.org/pc-239-134-lets-buy-a-house-islamically-3-cds-by-ghassan-barqawi.aspxand here, http://store.dar-us-salam.com/main.mvc?Screen=PROD&Product_Code=MQ17&Store_Code=Dus&search=buy+house&offset=0&filter_cat=&PowerSearch_Begin_Only=&sort=&range_low=&range_high=While I am not that very well educated about the new endeavor he is involved with, a google search of his name also turns up this websitehttp://halalinc.com/team.shtmlInshaAllah, I hope people find this useful as well. Please note that all your comments will be blocked due to past severe comment abuse (and stalking MM authors). You have constantly changed your IP addresses to bypass moderation, use fake emails, etc. You have been advised before to contact MM Admin @ info at muslimmatters dot org (tell them to forward your email to me) to discuss the personal issues directly but you have ignored that. It doesn’t matter how good or relevant your comments are, you are on notice. Here is scenario I think when talking about co-ownership. Let us say Siraaj and I buy house together in Omaha, Nebraska for 200000. Siraaj has contributed 80%, and I have contributed 20%. So Siraaj paid 160k$ and I paid 40k. We manage to find a person to rent the house. We decide a rent amount that would cover taxes, maintenance, any expense, plus profit amount. So we decide to rent it for 1600$/month. In an year the amount we got from renter is 19200$. Our expenses in an year in total were lets say 9200$ (including taxes etc). So we got 10k profit. Siraaj would get 8000$, I would get 2000$. Our renter leave us, and we have house without any tenant for an year now. The cost on keeping the house was 10000. Siraaj owning 80% of share would pay 8000$ and I would pay 2000$. We were both in loss. We decide to sell house, and house is slightly appreciated to 220k. Siraaj would get 176000$ and I would get 44000$. Let us say, we do not sell house and I ask Siraaj if I can buy his share. Now this is somewhat tricky (I do not know islamic point on this), can Siraaj ask to buy share of house based on current value or must it be original amount? Or could it be irrelevant and Siraaj can ask me to buy his share for any cost he wants? So if I want to increase my share from 20% to 50%. Would I need to pay Siraaj 60k (based on original value) to get to 50% or do I need to pay him 70k based on current market price to get to 50%? Regardless once I get to 50% now we are equal in loss and share. Now I decide to become tenant of the house myself. The rent should be same, and at the end I would get 50% of the profit. Now with guidance and lariba if they want to make profit (which is fine), they can charge huge rent, but same time should be partner in profit and loss and expenses. Is guidance written as co-owner in paperwork? What if house burns down to rubble, would they ask me to give them their 50% regardless? Is it islamic for co-owner to demand his share if they both lose the merchandise? Re: Abdullah, let’s focus on your phone example – did the promise take place before or after I bought the phone? If it was before I bought the phone, then I’ve essentially placed a condition on the transaction – “I’ll only buy this phone from you if you promise to buy it back.” Obtaining a promise from you is a condition of my taking part in the transaction to start. If I didn’t make that promise “outside” the contract, would you make the transaction and buy the house? You wouldn’t, so whether you call it a promise or a condition, the buying of the house doesn’t occur without it. If GF had already made the purchase, owned the house, and then we discussed and I made a promise, moved forward, and this cost them something, I can understand collecting damages, but to say, I’ll only buy if you’ll only promise, I do understand why some scholars have termed these as hiyal. I do understand about collecting damages on a broken promise, but I’ve only learned of it in the context of goods and services one already owns. For example, if you reserve a banquet hall, make a promise for payment, and then 10 days out cancel, the owners can stipulate in the contract damages for backing out due to lost business, time setting up the event, and so on, the key being they already possess the banquet hall and services. When you combine this with all the other issues on taxes, maintenance, profit and loss not shared in proportion to shares, I personally don’t see this as a viable halaal alternative, and I am convinced by the scholars who have argued this is non-shari’ah compliant. I was just using the example to illustrate the difference between a condition and a promise. Like I said, in the case of a condition, the sale would not be valid if the condition is not met in the future, but this is not the case when it is just a promise, like the case with the rebate. But I understand and respect your last statement. You are convinced by the view of certain scholars, and I am in no position to tell you are wrong. Salam alaikum brother, I’m in a bit trouble. My parents were in severe financial difficulty a while ago. To prevent our home (which is on conventional mortgage – riba included!) they placed the house into my name as my record is clear since I am a student. The problem is I have recently b ecome aware of how big of a sin riba is. So what do I do now? Because we can’t get rid of the house as the whole family lives there…I can’t transfer it/don’t want to as I’ll just be passing sins on. I don’t actually pay for the house since technically I now own it but technically it’s my father’s house and he pays for it via my bank account if that makes sinse. I’m also abit/alot scared of him and he would probably never speak to me again if I did not want the house to be in my name. I’m a girl and depend on my family to live/eat. Am I incurring huge amounts of sin? Any advice?! He doesn’t see riba as a big sin at all and my mother has tried to explain it but to no success.Help! Years ago I was in a similar situation. I made dua’s to find a way out, and guess what, I woke up one morning and didn’t feel responsible at all. It was like a burden was lifted. I can’t explain it in words, but I did not feel responsible. It taught me to appreciate power of dua and also to be consistent and remain steadfast in seeking forgiveness, and protection from God. Astaghfirullah. Seldom is Allah mentioned in these conversations, and seldom is it mentioned that we will return to Allah and be called into account. If we follow the ways of those who came before us, expect that for us is the same result. The anger of Allah and that we will be astray. This whole discussion is is becoming perverse. This sickening defense of scholars. Why are we turning from our deen? Who do we serve, Allah alone who decides haram and halal or scholars who can’t save us from Allah’s wrath the day we meet Him? Its clear its Haraam they are hiding behind a bunch of beautiful makeup when in fact the contract is as ugly as ever. Riba is one of the major sins. Dont take this lightly. Oh they got some Shaykh to sign it I guess its ok! I think many people are missing the biggest elephant in the room. What if the money isn’t really money? In Sunnah, money has always been gold and silver. But today we have dollars, pounds, euros – which in reality is just a figment of the imagination. It’s not even real money – it’s printed by the Fed at will! So can our scholars please guide us to whether the laws of riba applies to present day “money”, and if so, why? And is there consensus among the ‘ulema? This is critical. I try to warn people about that, unfortunately, it’s not til you do the all the costs do you see the problem. Don’t forget adding in your apt bills vs your house bills. I took a Guidance Loan 5 yrs ago @ 6.8%. Paid $6000./yr more than the average bank loan for 5 yrs (@ 1800/month compared to 1200/month or less on average bank loan). Spent thousands of dollars on upkeep and renovations. Now time to sell. Property value is down 40%. Multiple requests to refinance in the interim turned down by Guidance loan advisor. Now I “owe” Guidance $200,000. Going rate is 150,000. So, over 5 yrs I ‘ve paid 108,000 + 20000 down payment at time of loan + 50,000 if I sell now. guidance profit over 5 yrs. = 170000 – 85 000 = 85,000. Dont know much about Fiqh. IF this is really halal, Boy there’s something wrong with halal. I simply cannot believe Allah SWT made rules that allow people to make humongous profits on the backs of poor saps like me who are working three jobs/ 120 hrs/week to keep it halal. I suspect I am not alone.. who feels cheated/ violated and taken advantage of . If there are others. let’s set up a facebook page or something and file suit against guidance. I just want to know that i am working in a hotel industry where we are serving alcohol,as i am Muslim i am not drinking it.Can you suggest me my earning is Halal or Haram…I just want to go for umra but someone told me with this earning its haram. Although i am not drinking it,and am doing my job with full sincerity . As far as I know, drinking and serving alcohol are both haram. If I were you, I would research it. I’m almost sure that you are not supposed to serve alcohol, unless of course its the only job you can get, and your family would starve without it. In any case, this is just what I know. I have no authority on the matter. I suggest you ask around. I am not a scholar but my view is that Interest is prohibited for a reason. And waging war on Allah and his Prophet (p.b.u.h) is no minor prohibition. Clearly Allah is beyond some legal wizardry to overcome the prohibition. My view is that in any business venture (and where a profit is intended it is always a business venture) there is an element of risk. In this case if Guidance is not trading in property, then they can only be trading in money at interest (because there is nothing else to trade in). I cannot see any way in which any scheme not linked to property values cannot be hidden interest. From what I understand of the Guidance model it is slightly better than most. In the sense that if the property value drops so significantly that the sale proceeds are insufficient to buy out Guidance’s remaining interest in the Property, they will not come after the buyer’s other assets. But, lets be honest, this is a minimal risk especially if there was a large deposit paid. Also, in the meantime the lender would have been taking in rent. Overall, the risk to the buyer far outweighs any risk to the lender. If you wanted to make a truly halal scheme, it is actually not that difficult – just do it as a true partnership. You co-own the property and the buyer buys shares for the remainder of the property from the lender at the current market value (if it has gone up the buyer pays more, if it has gone down the buyer pays less). The seller or the buyer can temporarily choose not to buy or sell their shares or negotiate a price for the shares between themselves (that can be more than the current market value). Either party can also sell their own interests at whatever price they like but cannot force the other to do the same. All lies and scams, they are not professional at all and certainty not Muslims or has no clue about Islam. The arguments for and against being sharia compliant are irrelevant if the mortgage is set up exactly like the predatory practice of standard mortgage. I have been with Guidance for 11 years, I have paid enough into the mortgage to payoff my house but have paid off only about 10%. That is to say I still owe 90% and that is simple predatory lending like any other. You can call it Islamic but there is nothing Islamic in this. If I am paying primarily interest for 10 years then how can this be interest free financing? I am ashamed to have been fooled like this and will never do it again. So I read all the comments, and I just need a summary. Should I go into a contract with Guidance Residential to buy a house or no? I want the answer to be based on strict shariah rules. No we are in U.S. or there is a way here or there.